Drake is famous for the song "The Best I Ever Had," but this certainly wasn't anywhere near that. The Toronto-born hip-hopper along with boy band Hanson & DJ Ninjasonik, were scheduled to perform a free concert at the South Street Seaport Tuesday evening. But when thousands of people showed up at the "Feels Like Paper" event things got rowdy and chaotic, causing officials to cancel the show. The show was off to a late start, so fans began to throw chairs and get disorderly, witnesses told NBCNewYork. 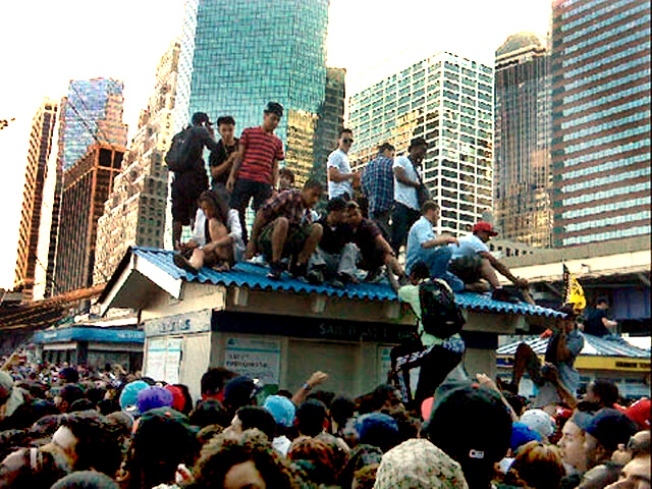 Pictures show tens of thousands of fans packed like sardines at Pier 17, where ambulance and fire trucks were parked ready for disaster. The concert would have been the first of a series sponsored by Paper Magazine, The Seaport, and Ray-Ban. 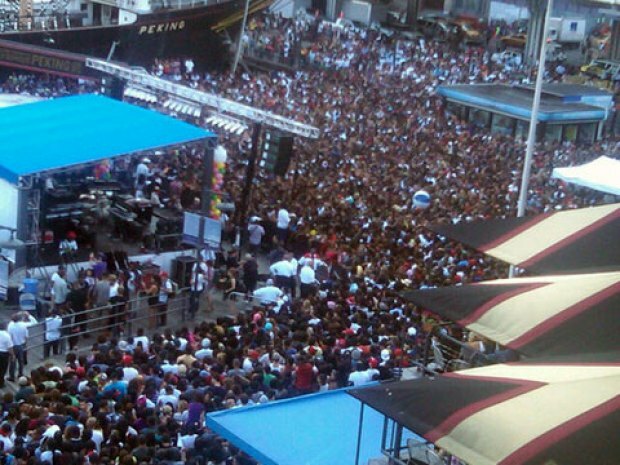 Drake fans were there to celebrate the release of his "Thank Me Later" album.